Informazione prodotto "Native Instruments Suite 7 completto"
The Native Instruments KOMPLETE 7 is the latest version of the ultimate software collection from Native Instruments. 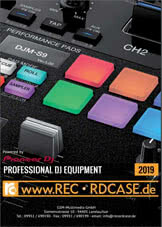 Now bigger and better and featuring 24 KOMPLETE Instruments and Effects, this 90 GB package is bursting with more than 10,000 production-ready sounds for all styles and genres. 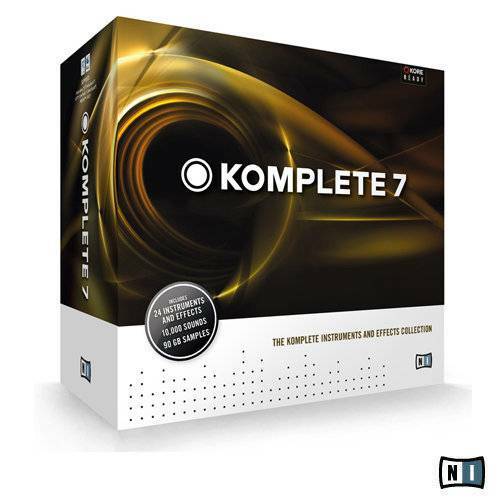 The KOMPLETE 7 features renowned flagship products like KONTAKT, GUITAR RIG and the redesigned REAKTOR 5.5 plus all-new instruments and effects from Native Instruments and brands like Abbey Road and Scarbee. Containing 24 groundbreaking and multi-award-winning samplers, synths, guitar/bass amps, instruments and creative effects, this collection represents Native Instruments' essential software tools for musicians, producers and sound designers alike. 5 GB free disc space / 100 GB for complete installation, DVD drive. Speciﬁc requirements vary depending on the individual program. * REAKTOR 5 requires a 32-bit compatible environment to operate under 64-bit versions of Windows® XP, Vista®, and Windows 7®. Sii il primo a scrivere una recensione per: "Native Instruments Suite 7 completto"